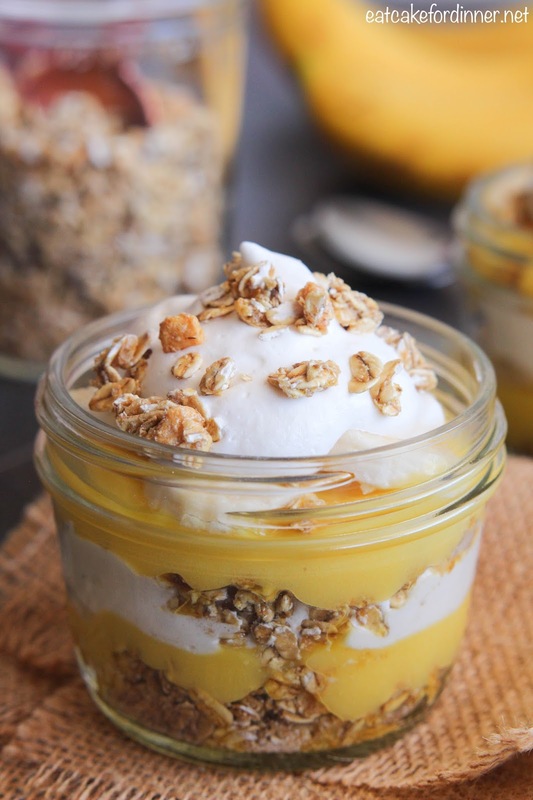 Crunchy granola, creamy bananas, thick pudding and pillowy whipped topping are layered into parfait glasses (or jars) to create a quick and easy dessert. These banana parfaits are delicious. They are a perfect snack for a week night or even movie night. The fresh bananas make you think you are eating a homemade treat and you won't be thinking about boxed pudding mix. They are great when eaten right when they are made, but I also like them after the granola has softened a bit. It's a great combination of flavors and textures and a treat that the whole family will love. In a medium bowl, whisk together the dry pudding mix and the milk until well combined. Refrigerate until set; about 5 minutes. 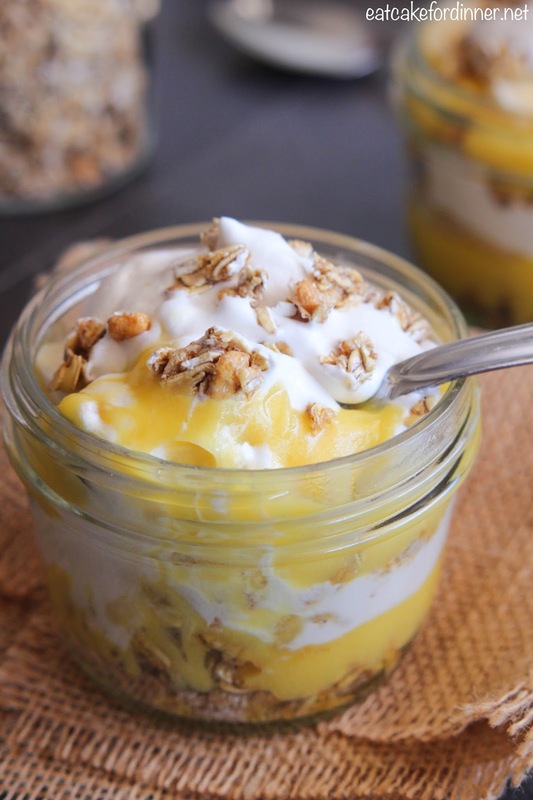 Place two Tablespoons of granola into the bottom of each of four parfait glasses. Top each with a little pudding, some banana slices and some whipped topping. Then repeat with another layer of one Tablespoon of granola, a little pudding, some banana slices and some whipped topping. Garnish with a little more granola on top and serve. Serves: 4. Note: if you want to make these a little bit in advance, give the bananas a little spritz of lemon or pineapple juice to keep them from browning.